If you are providing health care services to Medicare recipients in the Los Angeles area, you may have already had the experience of being audited by a Recovery Audit Contractor (RAC) during the demonstration project of this federal program. With the passing of the new health care reform legislation, RACs have been auditing claims under Medicare Parts A, B, C, and D in every state since January 1, 2011. Health care reform also expanded the RAC program to Medicaid and required each state to contract with a RAC by no later than December 31, 2010. At the dedicated health law firm of Wachler & Associates, P.C., we have been defending California providers in the RAC audit process since the program's inception. Contact us to discuss how our experienced attorneys can help you respond to a RAC audit or appeal the results of an adverse audit determination. All types of medical providers are vulnerable to being audited by a RAC, which in Region D (including California) is HealthDataInsights, Inc., a private company. Under the RAC program, the companies awarded audit contracts are compensated based on a percentage of the money that they recover for CMS due to overpayments or for medical providers due to underpayments. So far, overpayments have accounted for the vast majority of cases, and this is expected to continue in the RAC permanent program. Our firm has experience representing medical providers in Los Angeles, throughout California and in the other states that have participated in the RAC audit demonstration program. We have also carefully analyzed the changes made to the program by the Patient Protection and Affordable Care Act (PPACA) and have experience defending providers in the permanent program in all stages of the process. The nationwide RAC program has been operational since January 1, 2010, and providers need to be prepared for the possibility of an audit. 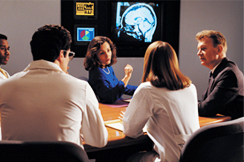 Our attorneys are here to assist medical providers through this process. Our firm is devoted to health law, with a particular focus on the financial challenges facing providers and suppliers in the health care industry. We regularly help clients appeal RAC audits, ZPIC audits, other Medicare audits and all types of medical payor audits. Our goal is to limit our clients' financial exposure and maintain a focus on their bottom lines so they can continue to provide quality medical services to Medicare recipients without being hobbled by expensive audits. To learn more about our firm and the services our experienced health care lawyers provide to clients in Los Angeles, throughout California and nationwide, contact us today.